Elizabeth Pahlavan is the administrative operations manager at Surterre Properties. Have you ever managed an office outside the real estate industry? What kind? How did you make the transition to real estate? Before working in the real estate industry, I worked as a manager for a call center in Colorado that handled inbound calls for a major wireless cellphone provider. Part of my job was projecting call volume, ensuring that we had the staff scheduled to cover the volume, evaluating and reporting on factors that impacted productivity, and ensuring that customer service levels were maintained. I relocated to California and was looking for office work and was hired for a national brokerage working in the marketing department. 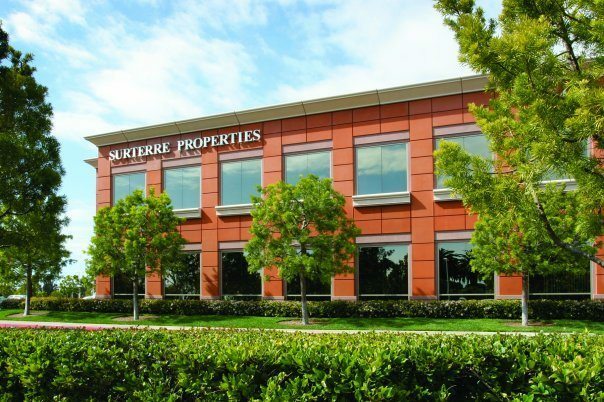 Our managing broker left to start a boutique brokerage called Surterre Properties. I enjoyed working with him so much that I called him to see if he’d have a position for me at his new company. He asked me what I wanted to do, and I told him that I wanted to be the office manager. I had no idea what I was getting myself into! How many agents work out of the office you manage? How many brokers? We have close to 400 agents total. In my branch location we have approximately 200 agents. We have three managing brokers. How many listings does your office manage at any given time (estimate is OK)? Recently, it’s been hovering around 250 listings. During the recession when the market was saturated with homes that weren’t selling we had closer to 350 or 400 on average. Describe your office. What is the floor plan like? What is the decor like? Our company name Surterre means “on earth” in French. Surterre means that what is good for the environment is good for business and all of us. We feel that being stewards of the environment is especially important for those of us in the real estate industry. As a green company, we’ve incorporated as many green elements into our office design as possible. The color palette and textiles we’ve used are all very earthy, with subtle pops of color, just like a natural landscape. Our office is filled with beautiful images of trees, water, flowers, plants, the ocean and more. Many of our office furnishings and materials are made of recycled materials certified as low-emitting products that meet current indoor air quality standards. As a green company, we’ve incorporated as many green elements into our office design as possible. The reception area is covered in natural materials — from the slate floors, to the pebble-encrusted wall and sustainable grass cloth wall covering. The reception desk is created from a California black walnut tree that was no longer producing. It was salvaged by woodworker Aaron Smith who sculpted a functional piece of furniture that looks more like art. We designed our office floor plan to meet the needs of a variety of agent profiles. We provide an “agent room” equipped with several computers and hardline phones that anyone can use at any time. We offer “hotel workstations” allowing agents on the go to come into the office, sit down with their laptop, do some quick work, then pack up and head back out into the field. We offer assigned workstations for those agents who like to have their own dedicated workspace and tend to spend a lot of time in the office. We offer private offices for agent teams to have a central gathering place to operate from. We have fully functional kitchens with communal seating areas where our agents and staff can mingle and socialize. And lastly, we’ve sprinkled our staff support offices throughout the building so that our agents are never too far from assistance. After many years of trying to find a system that really met all of our needs, we decided to invest in our own custom-built CRM platform. While the development was challenging, we’ve created a system that really allows us to connect all of our divisions/departments/staff and agents for an almost seamless operation. We use Microsoft Outlook. Our agent resource website is tied to our company email system allowing agents to post messages to our community message board that are then emailed out to all agents who have opted in to see the posts. It’s like our own internal Facebook wall. Agents are able to quickly share new listings, client wants and needs, or request vendor referrals. Using these communication tools, we really foster and encourage information sharing, collaboration and team work. We have a receptionist seven days a week during regular business hours. We want our clients to have the best customer service possible, so we feel having a live person available to field calls is key to maintaining a good experience. Each of our offices has an office manager and receptionist on staff. Some of our larger offices have two office managers and administrative assistants. We try to maintain a good staff-to-agent ratio to ensure that our agent requests can be quickly and effectively handled. The office manager and receptionist handle different assignments, but we heavily focus on cross-training, so that if one person is out the office still operates efficiently. Are you involved in the social media strategy? How so? If not, who manages social media for your brokerage? We are very fortunate to have an online marketing specialist whose focus is to guide and assist our agents with social media and Web campaigns. As the office manager, I am often approached with social media questions, so I work with the agent and our specialist to ensure the agent receives the help they need. I am licensed and have participated in some personal transactions. Being behind the scenes, I see what a hard job our agents have. Each transaction brings its own set of trials and challenges. I’ve thought about possibly selling one day, but for now I am happy being a logistic support person on the sidelines. Walk us through a day in your life. What’s the first thing you do when you get to the office and the last thing you do before you leave? What happens in between? Every day is a little different. That’s why I love this job: It’s never boring! Some mornings I can leisurely drink my coffee, go through and answer emails, work on my to-do list, and catch up with my agents and colleagues on what they’ve been up to personally. Other days, it’s full throttle from start to finish. At the end of the day, I try to be sure that most of my emails and phone messages are answered, and then I try to make a game plan for the following day. What’s your favorite part of your day? What’s your least favorite part? My favorite part of the day is when I get to teach one of our agents or staff something new. Maybe it’s a tip on zipForms or DocuSign, or maybe it’s a tip on how to ensure Realtor safety. My least favorite part of the day is when something goes wrong that negatively impacts the agent or client. Usually we come up with a solution to solve the problem, but we hate to see our agents or clients affected by additional stress. I really try to get away for an hour to decompress and re-energize for the afternoon, but some days that isn’t possible. On busy days, I’ll eat at my desk and answer emails and phone calls in between taking bites. My agents are pretty sensitive to let me finish my lunch before pulling me away to assist them. How do you support agents after hours and on weekends? Thankfully we don’t receive too many after-hours requests. We’ve really tried to develop tools and systems that empower our agents to access everything they need 24/7. On the weekends we have a receptionist on staff and an office manager who is on call in case there is an urgent matter that needs to be addressed. Lastly, the president of our company makes himself available to the agents anytime, any day. He truly cares about our agents and wants to see them succeed. Would you recommend this career to someone else? Why or why not? This job isn’t for everyone. It takes a mix of being a social butterfly, statistical analyst, office mom, problem solver, peace keeper, tech expert and psychologist. If you like helping people, enjoy working in a fast-paced environment, and can toggle between being analytical and detailed-oriented to being a listening ear and a shoulder to cry on, then this might be the job for you. Your agents and office staff will become like a second family. But if you think those duties sound stressful and unappealing, then steer clear! I’m seeing agents having a desire ways to make their transactions easier through technology. I find that I am spending more time trying to equip our agents with tools that keep them on the cutting edge of technology. The good news is that the agents are hungry for knowledge and are very receptive and eager to put these new practices into play. What sets your brokerage apart? How do you differentiate yourself? Our most important core values are customer service and teamwork. An agency can have a sparkling office with cutting-edge marketing and technology, but if their agents are jerks only looking out for themselves, they’ll fail. We make our people our No. 1 priority. We ensure that we hire agents who have a good reputation and are well-respected. We hire staff who enjoy helping others. We provide and encourage opportunities for our agents to share knowledge and strategies for success. As long as our focus remains on always doing our best for our clients with genuine care and concern, we feel confident that we’ll continue to flourish and set ourselves apart. If you were forced to work in any industry other than real estate, which would it be and why? I would be a civil servant in some capacity. I find the greatest professional satisfaction in helping others, so I would want to continue that work in any other field. Are you involved in any technology investment decisions? We take a team approach when making big decisions about hardware, software or other technological tools. We have frequent meetings where our department managers get together and discuss upcoming changes and how it will impact each department and our agents. We really feel that it’s important to approach decisions as a group so that we’re all equally invested in the success of a product or program. Every agent has their strengths and weaknesses. We try to pick up the slack where they struggle. For example, some of our agents could negotiate a complicated deal in their sleep, but they might not be the best at using the copier. Or some of our agents are super tech-savvy, but they need guidance on marketing. As the support staff, it is our job to help, so we don’t see any request as asking too much of us. If it’s outside our wheelhouse, we’ll try to offer resources where the agents can achieve their goals. We ensure that the agents are BRE-compliant with their paperwork. We offer them MLS assistance by offering to maintain the listings status of a property based on the agent’s guidance. If there are transaction issues that may delay a closing, we will brainstorm with the agents on strategies to keep the deal in escrow. At times, we’ll also interact with the clients or the outside agency to support our agent if needed. Our marketing department offers tools such as closing gifts or “just sold” marketing to wrap up the transaction nicely. The HVAC temperature battles in the office. We always have some agents in the office who are sweating, while others are shivering and freezing. It’s a constant dance to keep everyone happy. One other thing that doesn’t so much drive me crazy but is a lesson that I’ve learned about Realtors: They are always hungry! Don’t ever leave your food unattended because some hungry Realtor who hasn’t eaten all day will come along and think it’s community property. On the other side of the coin, if we want our agents to participate in something, all we have to do is offer free food and drinks and they’ll be there! I wish that homebuyers and sellers would recognize the value that our agents offer. With the incline of DIY (do-it-yourself) for just about everything, I wish that people would realize how complicated and delicate each transaction is, and how important it is to have an expert in your camp to watch your back. I think that our agents are unrecognized and unappreciated. They work so hard for their living and sometimes it’s a thankless job. [Agents] work so hard for their living and sometimes it’s a thankless job.